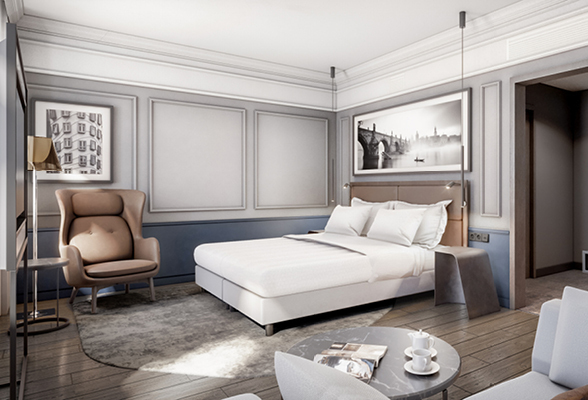 BRUSSELS, Belgium, 2018-Jul-19 — /Travel PR News/ — Radisson Hospitality AB, publicly listed on Nasdaq Stockholm, Sweden, and part of Radisson Hotel Group™, is proud to announce the signing of the new Radisson Blu Hotel, Prague in Czech Republic. The upper upscale branded hotel will complement our Park Inn Hotel Prague – a city that is consistently ranked as one of the top 10 destinations in the world. This entry was posted in Hotels, Luxury, Resorts, Travel, Travelers and tagged Czech Republic, Elie Younes, Prague, Radisson Blu Hotel, Radisson Hospitality. Bookmark the permalink.